The Best Ugadi SMS. Use image quotations as wallpapers, backgrounds to help inspire and keep pushing forward towards your dreams. 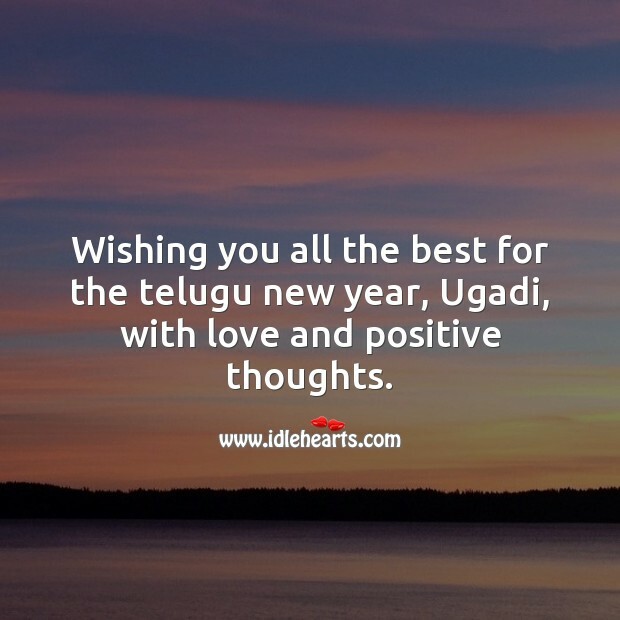 Wishing you all the best for the telugu new year, Ugadi, with love and positive thoughts. 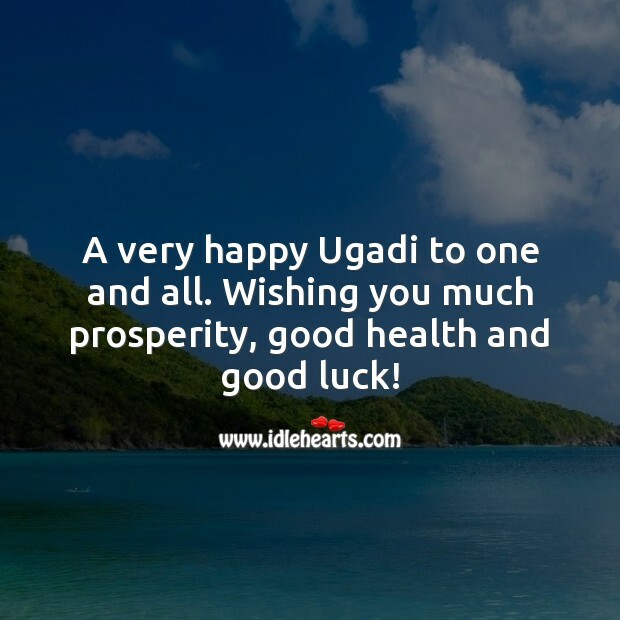 A very happy Ugadi to one and all. Wishing you much prosperity, good health and good luck! 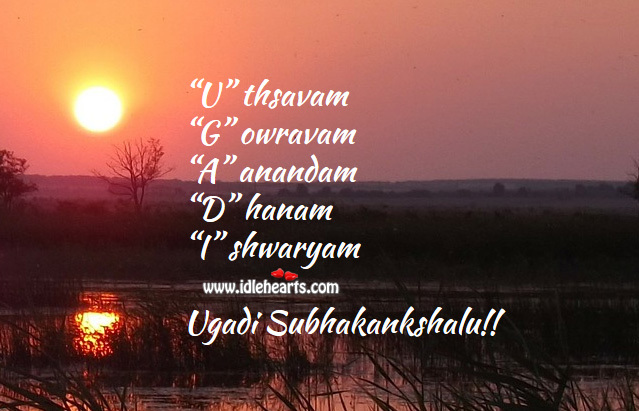 "U" thsavam "G" owravam "A" anandam "D" hanam "I" shwaryam Ugadi Subhakankshalu! !